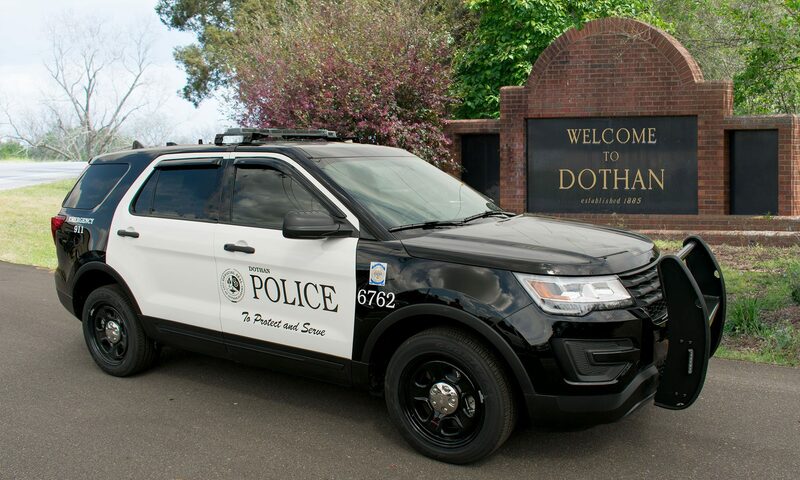 On February 24th 2019 Dothan Police responded to Walton Park Recreation Center for a report of gunshots. Witnesses stated that a fight started between two black males in the gym that carried over into the parking lot. Gunshots were exchanged in the parking lot and all individuals involved fled the scene. One person was injured during the incident and is in stable condition with a non life threatening gun shot wound to his right shoulder. He is awaiting surgery at a local hospital. Police were able to identify all individuals involved in the shooting. Tristan Van’Dexter Thomas-Forsythe (23) of Dothan was arrested and charged with Attempted Assault 1st Degree for his involvement in the incident. He has a $30,000.00 bond. The incident is still under investigation. The Dothan Police Department in a collaborative effort with the Alabama Department of Public Health are set to equip Dothan Police Patrol Officers with the drug naloxone or Narcan as it is commonly known. Naloxone is a medication designed to rapidly reverse opioid overdose. It is an opioid antagonist—meaning that it binds to opioid receptors and can reverse and block the effects of other opioids. It can very quickly restore normal respiration to a person whose breathing has slowed or stopped as a result of overdosing with heroin or prescription opioid pain medications. This is a very important acquisition for the Dothan Police Department as there have been numerous officers across the country that have had accidental exposures to opioids in various liquid and gel forms. In January of this year a Jackson County Florida Deputy was revived after an accidental exposure to the opioid fentanyl during an arrest. Training on the Narcan will begin this week and our goal is to have all patrol officers equipped by the end of the month. The safety of our officers remains paramount and this is one more thing we can give them to help them do their jobs and protect them from the daily dangers of police work. On Febuary 16th 2019 Officers responded to a report of a missing 68 year old female at Pointe South Mobile Home Lot on Hodgesville Road. Family reported that 68 year old Bonnie Benson left her residence driving a silver 2006 Toyota Camry with Alabama license plate number 5902AC0. Bonnie was last seen driving the Camry in the 1600 block of Ross Clark Circle. She is reported to have COPD, Congestive Heart Failure, and has been off of her oxygen for several hours. She is also showing signs of early dementia. The Dothan Police Department asks that anyone who has seen or comes into contact with Bonnie to please contact your local Law Enforcement. A “Silver Alert” has been issued and search efforts are ongoing. Here are a few outstanding handlers who were recognized for handling top dogs at last week’s seminar. Left to right… Meeks Panama City Beach third-place Patrol area search, Fleming Lee County first place vehicle detection, Jackson Jackson County third place building detection, Calvert Baytown PD top Patrol dog, first place Patrol building search, 3rd place detection scramble, Brown Pearland Texas second place detection scramble, Spencer Baytown Texas 3rd place Hogan’s alley third-place Patrol building search second place detection building, Bailes Dothan PD second place vehicle detection, Owens Dothan PD first place detection scramble third place vehicle detection second-place Patrol area search other winners not pictured Garrison High Point North Carolina first place Patrol area search second-place Hogan’s alley, Wilkins High Point North Carolina first place building detection, Overstreet Dothan PD second-place Patrol building search. Great job all.